We are pleased to be working with some passionate and creative organisations who can help share the incredible stories of the Nene with local communities and visitors through creative and exciting interpretation. Introducing Screen Northants, Horizon Digital Economy Research Institute at the University of Nottingham and Northamptonshire Music and Performing Arts Trust. As part of the Peterborough Celebrates 900 campaign, which commemorates the 900th anniversary of the building of Peterborough cathedral, Nenescape is working with One to One Development Trust to record the voices of 900 people who live close to the river. Read more here. Screen Northants will be working with us to deliver Nenescape on Film - an exciting project which will document the development and delivery of our partners' projects, as well as producing material to help promote our work. We'll be working with volunteers to get stuck in with helping to choose filming locations, writing interview questions and even getting in front of the camera! We also believe that new technologies have a large role to play in engaging new audiences with heritage and the environment, so will be introducing some through Hidden Histories of Rushden. 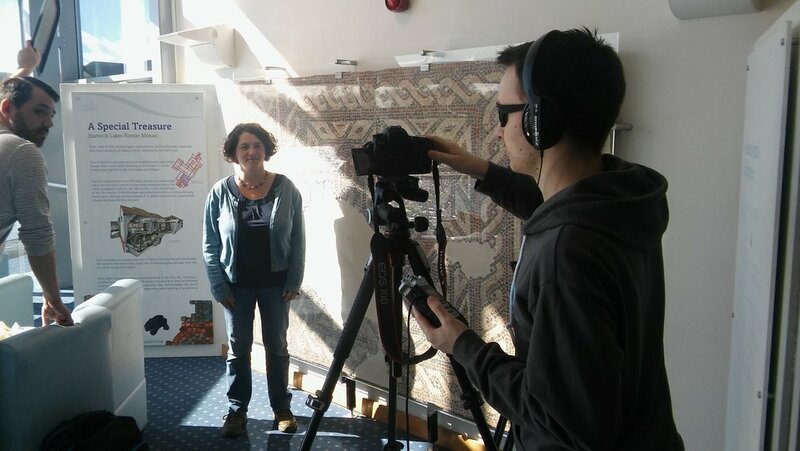 Our creative digital engagement experts at the Mixed Reality Lab (University of Nottingham) will be working with us, local history experts and our partner organisations to bring hidden heritage to life through a free artcodes app which allows images to be scanned with a smartphone or tablet and linked to online content. It works in a similar way to a QR code, but anyone can draw the scannable image. Within the Ice Age to Digital Age project, there will also be exciting trails, events and much more to see and do. We're also looking to run creative workshops using John Clare as inspiration through Extracts of a Changing Landscape. We launched Nenescape with a mass orchestral and choir performance of a specially-written musical composition called Nene in the Royal Albert Hall, led by Northamptonshire Music and Performing Arts Trust and forming part of the Music for Youth proms. Find out more here. For more information on 'Ice Age to Digital Age' please contact alison@rnrp.org.